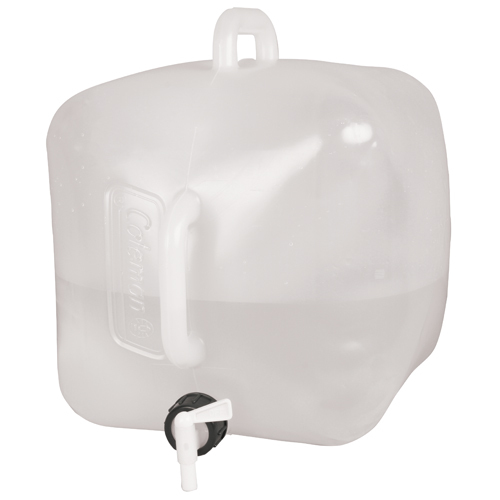 Take your own clean water to the campsite in a 5-gallon Coleman Water Carrier. Just remove the spigot to quickly fill it with ice and water, and then turn the valve to get the water going. Two molded handles, one on the top and one on the front, make carrying easy. You can even hang it from a post or tree for easy access without cracking or denting the carrier. When the fun is done, the carrier folds flat for compact storage.